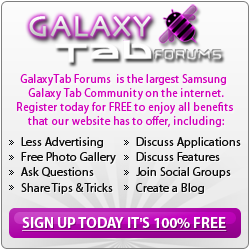 I have a Samsung Tab 2 10.1 which I purchased about 1 year ago. It is model #GT-P5113 with android version 4.1.1. Kernel version: 3.1.31 -blackhawk+ ; kumajaya@semator #2 ; SMP PREEMPT Sun Mar 24 13:32 WIT 2013. My system is up to date as of Dec. 6, 2013. It worked just fine until this WI-FI issue. I know my WIFI works as my phone/laptop works through it all the time. I have turned tablet off, restarted it several times I have not done a factory reset as of yet. I have pictures on mine and I just bought a SD card, but I can't find how to transfer pics on Tab memory to SD card?? After doing that I want to try a factory reset. Can anyone help or is this just useless junk. Everything else works on the Tab, just you can't get on-line?? Thanks very much in advance if anyone can help me in any way or just tell me this is junk. Would it be worth having someone look at it or is that too costly for what it is worth?? Welcome to the site. Hope someone can help with this. I have rebooted my router 2 times. I have also tried to use it on my parents WiFi and friends WiFi, but my tablet does the same thing and does not act any different on another WiFi system. My cell phone and laptop work fine off my WiFi. I am assured it is the tablet acting up and not the WiFi connection. The person who had the identical problem from UK on this site did a "restore to factory settings" and this still did not fix the problem. I have restarted my table many times. I do have AVG Antivirus software on this tablet. I have ran a deep scan and the only thing it find is under "settings" where is says, "unsecure privilege mode detected. Your device is running in High Privilege mode (i.e. it has been rooted). We recommend using only genuine firmware. For more info, please see our FAQs at m.avg.com." Would that at all affect the WIFI?? ...I do have AVG Antivirus software on this tablet. I have ran a deep scan and the only thing it find is under "settings" where is says, "unsecure privilege mode detected. Your device is running in High Privilege mode (i.e. it has been rooted). We recommend using only genuine firmware. For more info, please see our FAQs at m.avg.com." Welcome to the forum Andy, really sorry your having this problem! OK, are you rooted? If you are, I think it might be worth restoring it to stock, and see if that helps. The only other thing I can think of is to uninstall AVG, and then try it. Good luck! Hey, if your not rooted, I would definitely take it back to where you got it and say, "fix it!" my tab2 has similar wifi connection problems, it worked fine at first, then started showing 'connected/disconnected' non stop, it would stay connected for 30 seconds or so and then disconnect on and off all the time. no way of using it. i checked wifi, works fine on phones, kindle, lap tops etc. backed up data, did full reset - still the same. took it to samsung repair centre, it was away for 14 days at a 'level 3' (?) service centre. when it came back i was told it was fixed and updated. guess what it's still the same . Hello. I am new to the forum as well. I was experiencing the same problem with my tab. I had restore the factory setting and still does the same thing. It trys to turn on for 7-8 secs and then it automatically turns off. I chatted with a Samsung rep and we followed the protocol and in the end, they advise me to send it in for service. It's just my luck my warranty just expired. Any idea how much it would cost to fix it? Or is that another cheaper fix? Sounds like a Sammy issue. I would press them for a replacement. I have the same issue as the above. I have wiped my tablet and reset it. Tried on other networks. Ive even read that hitting the back helps??!!!!. To no avail. Just wondering if anyone has found the solution?